How to apply Inventory info right ? This right is for inventory management module. 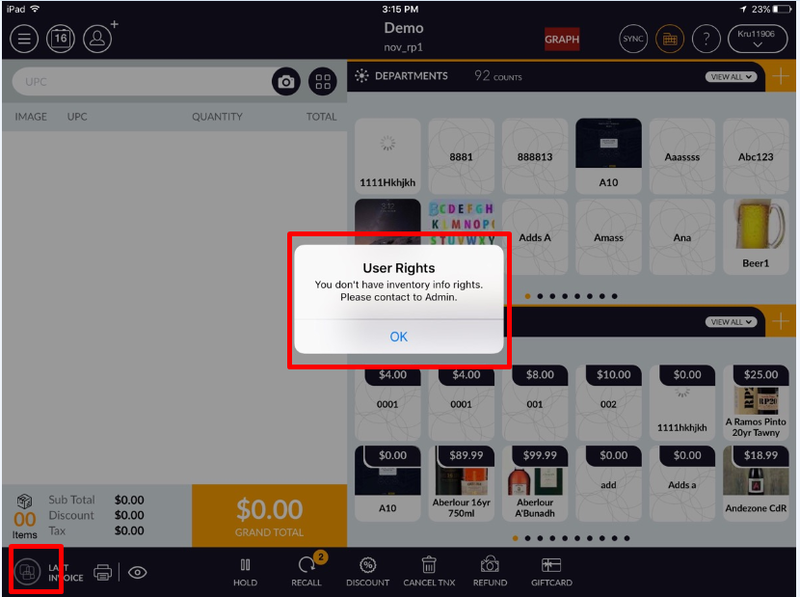 Setting -> staff -> user list -> open user in edit mode -> open user rights tab -> POS rights -> Inventory info. 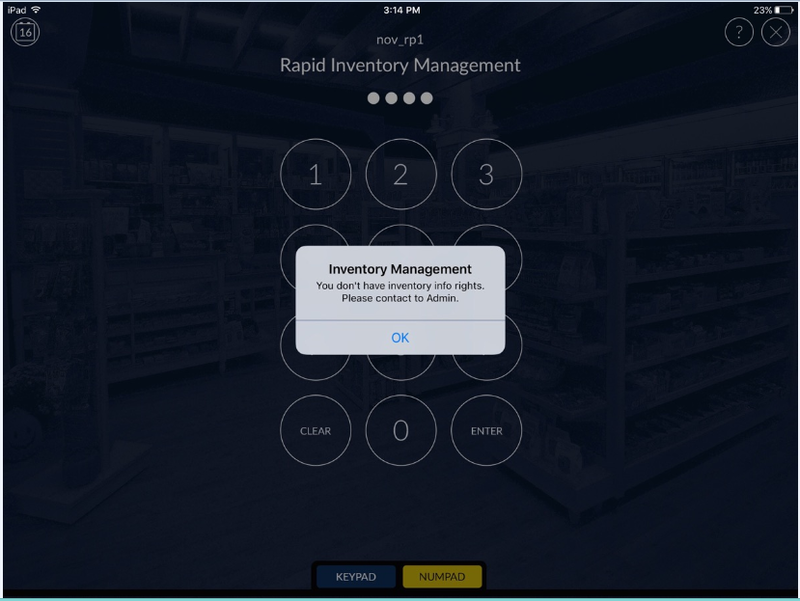 When Option for inventory info selected then user can open inventory management module and work with it. 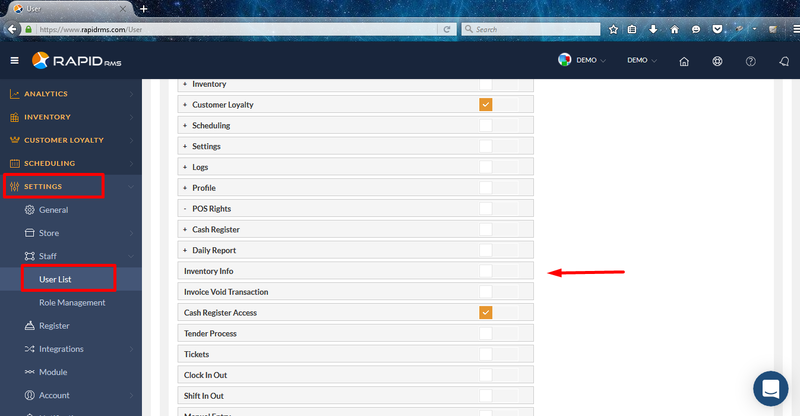 When Option for inventory info unselected then user is restricted to use inventory management module. As well as user can not access inventory management module from POS sort cut.